Credit card companies often use the term “guaranteed” when marketing their products. Such terms are designed to get customers to act and make a purchase, or in this case, complete a credit card application. The word “guaranteed” could mean many different things. It could mean guaranteed satisfaction or it could mean guaranteed approval provided your credit card application has the right details in place. Whatever is being claimed as “guaranteed”, one thing must always be kept in mind. No credit card is ever guaranteed without conditions. The condition could be a security deposit, a certain level of spending compared to income, or a certain minimum balance. Credit card approvals are often as good as guaranteed once you meet such conditions. So, “guaranteed” is actually a relative term. One example of cards with guaranteed approval can be secured credit cards. Secured credit cards are credit cards open to people with good credit scores as well as bad credit scores. These cards require the card user to pledge a refundable security deposit amount with the card issuer. The amount is normally around $200 or $300, but there are cards which offer a higher security deposit option, at times even up to $10,000. This security deposit becomes the credit limit of the card. So, the cardholder can only spend as much as the amount of the security deposit. In case of a payment default, the security deposit can be used to recover the outstanding dues. A security deposit greatly reduces the risk that a card issuer faces, especially with sub-prime and bad credit customers, related to the inability to pay back the card dues. Thus, if the card user pledges the security deposit, then there is little reason to not approve a credit card application. The credit card issuer has the incentive to give out more and more credit cards. Thus, by meeting the condition of a security deposit, the credit card applicant can greatly increase his/her chances of credit card approval, almost next to a “guaranteed” level. However, as noted above, nothing is guaranteed a 100%. Some secured cards turn down applicants if they had a recent case of bankruptcy or an open tax lien still listed. Secured credit cards are also cheaper to hold and use than other bad credit credit card options. The interest rates are lower than what unsecured cards charge. Additionally, there are secured cards available in the industry that do not charge an annual fee. An annual fee is the cost of holding a credit card irrespective of whether you use it or not. You ideally do not want such a cost burden or want it to be as low as possible. Many secured credit card companies also ensure that your account information is shared with major credit bureaus of the country. This allows credit bureaus to update your credit reports with positive information such as timely payments on your secured card or favorable credit limit utilization. Such positive usage metrics can bump up your credit score. For someone short on cash or in a financially tight situation, it would logically make sense to put down as small a deposit as possible. But that could actually end up hurting your credit score in the long run. If one of the reasons to seek a credit card is to improve your credit score, then try to put down as high a deposit as you possibly can. The reason can be explained in the following manner. Let us assume you put a low deposit of $200, and then you spent $100 every month. Thus, your credit limit utilization is at 50%. However, if you put a $1000 deposit and then spent $100 every month, your credit limit utilization would work out to 10%. The higher your utilization rate, the worse it is for your credit score. Credit bureaus that compile credit scores like to see your spending as far away from the limit as possible. So, even though it might sound a bit counterintuitive to put in a higher deposit, it actually works out better in the long run. 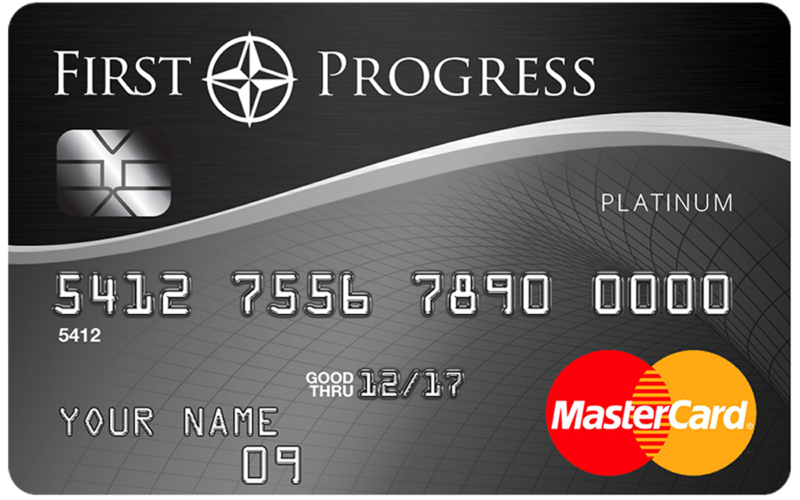 The First Progress Platinum Select card is a secured credit card that has a minimum deposit requirement of $200. The deposit can go as high as $2000. The great thing about this card is that it reports account information to the Big 3 bureaus Experian, Equifax, and TransUnion. It claims to not require a credit history or minimum credit score. So, as long as you pay the deposit, you have a high chance for approval. An APR of 14.49% is not high when compared to other comparable credit cards. One downside, however, is the absence of a rewards program. There is no cashback either. Also, there is an annual fee of $39. So, holding the card does have a cost attached to it. The online application and processing of the application are known to be quite fast with the First Progress Platinum Select card. This secured card is a great option to build credit from a low credit score position. 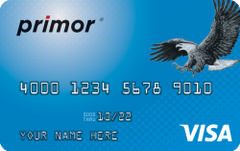 Green Dot may be a name you may or may not have heard of, but it has a pretty good secured credit card called the Primor Visa Classic card. Green Dot charges $39 annual fee. In return, you get a secured card with a low APR of 13.99%. Credit line limits range from $200 to $5000. Deposit amounts are also the same. Applicants with low scores and bad credit are open to apply as there is no minimum credit score requirement. Just like the First Progress Platinum card, this is a no thrills no frills secured card. There is no cashback or rewards program. What you do get is a secured card that can help you increase your credit score gradually as account information gets shared with the three major credit bureaus. If quick and fast approval is what you are after, the OpenSky Secured Visa card is known for just that. It does not perform any credit check while evaluating an application. That is the main reason why it is able to process the application in quick time. No credit check also means that you will not see your credit scores drop, something which is common when a hard credit check is performed. You also do not need to stress about your past credit quality or any negative items from the past which are still on your credit report. Your chances of getting an approval are more linked to the security deposit that you will be required to pay. Minimum security deposit that OpenSky asks for is $200. Upon paying the deposit, you get a $200 credit limit. The APR is higher than the other cards reviewed here, but still quite normal at 19.14%. This secured card also allows you to build up your credit gradually as it reports account information to major credit bureaus. In fact, OpenSky claims that 99% of its cardholders who did not have a credit score when they first began to use the card managed to have one after 6 months of card usage. One downside with this card is no cashback rewards or any rewards program. It is a simple secured card with an annual fee of $35 that gives you a line of credit and the opportunity to improve your credit score before moving on to a card with more features. Besides secured cards, another option for an “almost guaranteed” approval credit card is the unsecured card. These cards require no security deposit. But the absence of this deposit makes issuing the card more risky for the card company. Hence, approval rates are not as high with unsecured cards. One condition that could make the approval of unsecured cards almost “guaranteed” is a reasonable enough credit score. If your credit score is above the minimum threshold of a particular card company, then they will not have any problems in approving you for the card. Do note that unsecured credit cards are more expensive than secured ones. You will almost certainly pay a higher interest rate and a host of other fees. Hence, unsecured cards for bad credit are a short-term option which should be used to improve credit and move onto standard credit cards of the industry or an unsecured card with better terms. 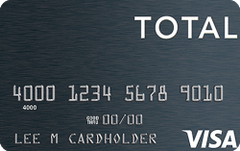 The Total Visa Unsecured card is a universally accepted Visa card with an annual fee of $75. This fee amount drops to $48 after the first year. Being an unsecured card, there is no security deposit required. But you do pay a high annual fee and a high APR in return. The APR charged by the Total Visa card is 29.99%, which is one of the highest among the various unsecured and secured cards. For all the negative points, there are a good number of positives too. Firstly, the application process is quite simple and the approval process is fast. A person with bad credit can also apply. Even if you have had a bankruptcy event in your past, you can still apply for this card. You get a $300 credit limit to start off. This card is great to build or rebuild your credit by using the card and making timely payments. Account information does get reported to credit bureaus, so you get the benefits of constructive use of the Total Visa Unsecured card. There are, however, no cashbacks and rewards program. So, this is just a no-nonsense unsecured card that will get you started with a $300 credit limit and help you work your way up the credit score ladder till you are in a position to apply for something more feature-rich. 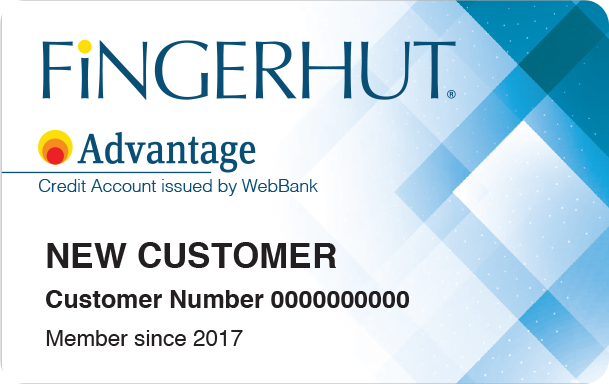 Fingerhut might be an unusual name for a credit card company but it offers a great unsecured card. There are annual fees or monthly fees. Also, you get a decision regarding your application within seconds. Fingerhut also reports account information to major credit bureaus. So, you can get the credit report benefits related to using a credit card and can gradually push up your credit score. The APR, however, is quite high at 29.99%. You also can only use the card for Fingerhut purchases. But, for someone with absolutely low credit score, this card offers a way to move to something better after a few months. Another type of card with guaranteed approval is the prepaid card. This card has no interest rate and no security deposit. You simply pre-load money onto the card and then spend it till the credit runs out. Such cards are not really credit cards because there is no line of credit being offered. But, once pre-loaded, they are guaranteed. Your application will not be turned down. Hence, they are a form of “guaranteed approval” cards. Prepaid cards do not pass on your account information to credit bureaus. Hence, you will not be able to improve your credit score by using these cards. They simply allow you to experience the convenience of using a card without the danger of falling into debt. Brinks Prepaid is a Mastercard, which is accepted the world over. You can use it at ATMs and other machines. You can reload money using the ATM machines as well. You can even set up a direct deposit facility so that your work salary goes straight to the card account. The application process is also quick and takes about 10 minutes. The Brinks Prepaid Mastercard is a very convenient option for any person with any credit profile. There are no credit checks with this card. Simply pre-load money and you are good to go. 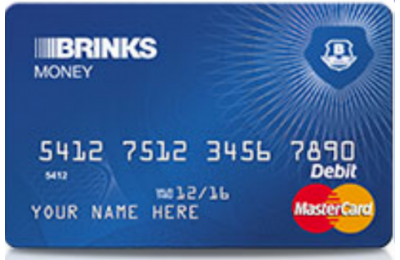 As a bonus, there is a cashback program and Brinks offers a purchase cushion of $10 when your card balance is low. 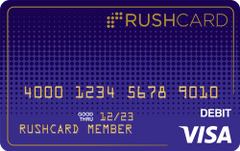 The Midnight Prepaid RushCard is a Visa card. Hence, it is also widely accepted all over the world. You have to pre-load money and start using the card. It makes paying bills convenient. You can make online purchases too using this card. There is a website where you can manage your account online. Direct deposit payments can also be received through this card. One added benefit is the FDIC insurance on any amounts that you load onto the card.